IWTYAL 168: How did you get started with Japanese? Do as much listening as possible! Olly: Good morning everybody, and welcome back to the podcast. Thanks for joining me, I really appreciate it. Today we are going to be talking about Japanese, and how I got started, how did I do it, what did I get wrong, and what did I learn along the way, very interesting questions. 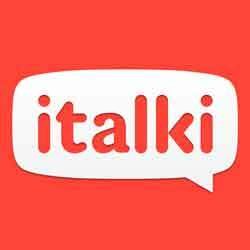 And before we get to that I would like to thank the sponsors of the show who are of course iTalki, and without iTalki I would often have had a lot of trouble with keeping up my Japanese when I was living abroad in different countries. If you would like to get a free lesson, you can go to www.Iwillteachyoualanguage.com/FreeLesson. All right, let’s hear from Danilo who asks today’s question. Danilo: Hello Olly, I have got another question. Any time I wanted to know what is the first step that one has to take in order to learn Japanese. Now should I buy a teach yourself or a colloquial book, or any – yes language course or should I take private lessons on iTalki or even more expensive ones, with a teacher in a class, or what is the first thing to tackle such a tremendously different language. As a German native speaker now what exactly is the best method, or basically what is the first step that you would recommend me. And I would also like to know what your first steps were when you were tackling Japanese. I would love to, yes, hear this audio recording in the podcast and listen to your answer. Have a nice day, greeting from Switzerland, bye. Olly Richards: Okay Danilo, thank you very much for your question. Now I can talk about Japanese all day long, but I am going to try and keep it to under 10 minutes, let’s see if I manage it. So let me talk about my experience learning Japanese because for me, Japanese has been by far the hardest language I have learned. Not because Japanese is necessarily the hardest language, but because at the time, I didn’t know what I was doing. I know that now, but I didn’t at the time. It was actually my fifth foreign language, Japanese, but it was the intersection between learning my first really hard language, and also not knowing what I was doing, because I had learned my other languages very naturally. So I thought, actually, Japanese would be quite easy for me but it really wasn’t. And I kind of have a — I feel like I have a good perspective on that now, but I certainly didn’t at the time. So I started learning Japanese the same way that I did like with my other languages, which was basically language exchange. So I would sit down and I would ask my friends, like okay how do I say basic things and they would tell me and I would learn it. So I kind of got this initial cool little boost, where I could say a few things in Japanese, and then I would practice these phrases whenever I met a Japanese person and they would laugh and it would be funny and all that. But the thing is, it never got any easier and I think the main thing that happened for me with Japanese is, I think I really underestimated the foundation that I needed with Japanese, right. As a native English speaker if I am learning, say French, there is already so much I already know because languages come from similar roots. So much vocabulary already, I already have just by virtue of being a native English speaker. But with Japanese it is a different story. There is so much that you just have to get your head around, and you know sometimes I give this, this is one of my favourite quotes, and I say “You don’t learn a language you get used to it” but with Japanese this – Japanese is a classic example of this. There is so much with Japanese, it is totally different from what we are used to as European language speakers. With Japanese you have got to get used to the grammar and the syntax which is totally different. You have got to get used to expressing ideas in a different way. You have got to get used to different registers like speaking casually and speaking formally and kind of half way in between. You have got to learn the Japanese script, and you do have to learn the script. You have got to learn totally new vocabulary, with the exception of English lone words which there are quite a lot of, actually. And then you have got endless rabbit holes, so with Japanese you look a word up in the dictionary and you will find 6 options or 10 options, none of which seem to be exactly what you are looking for. Or else the other way around, you try to learn kanji and you look up a kanji in the dictionary and there are tons of different ways to pronounce it and you can’t actually use that kanji by itself and only with other kanji in combination. So basically the level of complexity is really high. Now if you are in an immersion environment, if you move to Japan and you live with Japanese people then you can pick it up the natural way, but for anyone that is learning Japanese outside of Japan it is a big task. And even for me living in Japan it still was difficult so I started with language exchanges in the UK and then I moved to Japan and I took lessons, I studied with books, and it took me a good two years to really get comfortable and I made two big mistakes with me, myself. The first was that I never spent enough time speaking, I didn’t spend enough time organising dedicated opportunities to speak Japanese and probably more importantly, I never spent enough time listening. Now I don’t think it is my fault, the fact that I didn’t do those things, because those are the two things that are incredibly difficult, you know. You have to try hard to find good people to speak to for more than five minutes at a time. And then with listening, most text books and things have tiny little dialogues that are intended to teach you something rather than to be general listening practice. So they are really hard things to do, and those are typically the mistakes that everybody makes. So I got there eventually but it took me years to do it, of fumbling around, of just gradually learning new words and building up my knowledge, but it really wasn’t until I reached breaking point, and I said right, I am just going to do nothing but speak Japanese every day that I finally, finally cracked it. So here is what I suggest you do Danilo, if I was going to start again this is exactly what I would do. At the beginning I would not take lessons. Now, controversial maybe, the reasons I would not take lessons is because Japanese teachers tend to be very structured in their approach. They are very, very good, very, very competent, and they will teach you different elements of Japanese one-by-one. Now the problem is that with Japanese you can’t take this bit-by-bit approach because there is too much to learn. So I would avoid having a teacher at the beginning, I would get a teacher later, but in the beginning I would avoid using a teacher and I would take one of the text books that you mentioned, there are lots of them, I would just find one that you like. Go to a bookshop and look through a few different ones, find a beginner’s textbook that you like, and I would go through it bit-by-bit and just learn everything in there basically. Set yourself, give yourself two or three months, go through one chapter a week, focus on the dialogues, do lots of listening, and just build up your foundation, okay. This is the thing, I mentioned this before, with Japanese you have got to give yourself the best possible foundation because there is just too much to learn, right. At the same time I would learn Hiragana and Katakana immediately – you ask the question do you need to learn to read Japanese, yes you do, without a doubt. Romanisation in Japanese does not work, it is horrible, it will hold you back. You don’t need to learn kanji at the beginning, but you do need to learn Hiragana first and katakana second, okay. I’ll give you some resources for that later. Once you have got through your text book, I would look for a tutor on iTalki and as you know, you can get a free lesson with them by going to www.Iwillteachyoualanguage.com/FreeLesson and I would go on a speaking binge, so I would try to speak Japanese at least three times a week for half an hour or so and focus on speaking as much as possible. But the order is important here, so first go through your textbook and get that foundation; second focus on speaking as much as you can. The other thing that I would do at the same time, is do as much listening as possible. You have to listen to tons of Japanese and the mistake, one of the big mistakes like I said that I made with Japanese, and with other languages, is not doing enough listening. I am more and more convinced that listening is the ultimate skill, and I think you need to do as much of it as possible. The problem is finding the material, because as a beginner or as a lower level learner you have got to find material that you can actually – that is long enough to be useful but also at the right level. As you know I am working on this project called Conversations which is exactly that. It is listening material for lower level learners, but not ready yet unfortunately. So I would again look at different resources on the internet. You have got quite a few different places where you can find Japanese material but basically you want to be listening as much as possible. So that is the plan, okay, just to summarise again; don’t get a teacher in the beginning; find a good text book and just knuckle down and work through it; learn Hiragana and Katakana immediately; and then as soon as you feel comfortable, probably after a couple of months, start speaking intensively, like three or more speaking sessions a week. That is what I would do, so I hope that gives you some ideas Danilo. And in terms of resources for this there is a lot, but let me give you a few essential ones. There is one podcast episode you should listen to, Episode 71, which is called “Beginner Japanese Hacks”, that is where I answered a similar question in a slightly different way. You can listen to that by going to www.Iwillteachyoualanguage.com/Episode71. There are also two – I have a lot of blog-posts on the website about Japanese but you might like to check out – well in fact what I am going to do, I am going to put a list of all the useful blog-posts in the Show Notes to this episode, so you can find all of that at www.Iwillteachyoualanguage.com/Episode168. And the last thing I mention is that, like I said, it is – people always ask do I have to learn Hiragana and the answer is yes you do, because it is not that hard, you have got to do a bit of work but you can learn it quickly, and once you learn it then you can use it for everything, so learn Hiragana at the beginning and the best way to do that is actually with a course that I created with my friend Anthony, and we teach you to learn and memorise Hiragana in two hours which is fast, all right. It uses special memory techniques, and if you’d like to check that out then you can go to www.Iwillteachyoualanguage.com/HiraganaCourse, Hiragana course, which is H-I-R-A-G-A-N-A course. We don’t have a flashy sales page or anything for that, it is just really, it is like a passion project that we did, really, that shows you, I think there are about 10 videos in the course and one-by-one we show you how to learn Hiragana and you will have it memorised by the end. So I would do that if, I could wind the clock back eight years then I would take my own course that didn’t exist yet, that’s what I would do. Of course you can just get a book and do it that way. Either way, make sure that you learn Hiragana right at the beginning. Okay so I hope that is helpful Danilo, again a link to all those things will be in the Show Notes. If you would like to ask me a question for the podcast like Danilo did, you can go to www.Iwillteachyoualanguage.com/Ask and then as for today’s resources well have just given you a ton of them for Japanese blog posts, courses, all of those things, so again if you would like to have a look at all of those you can go to www.Iwillteachyoualanguage.com/Episode168. Thank you so much for listening, どうもありがとうございまする and I will see you back in the next episode of the podcast.